Last June, I sported a nail color that I absolutely love. 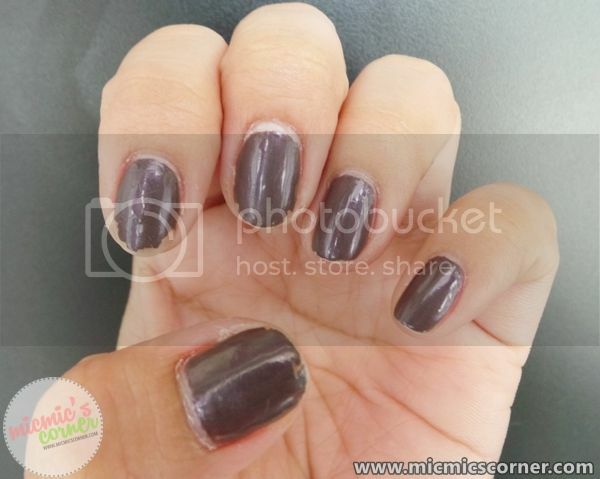 Anything with grayish tone on the nails, I am willing to try. 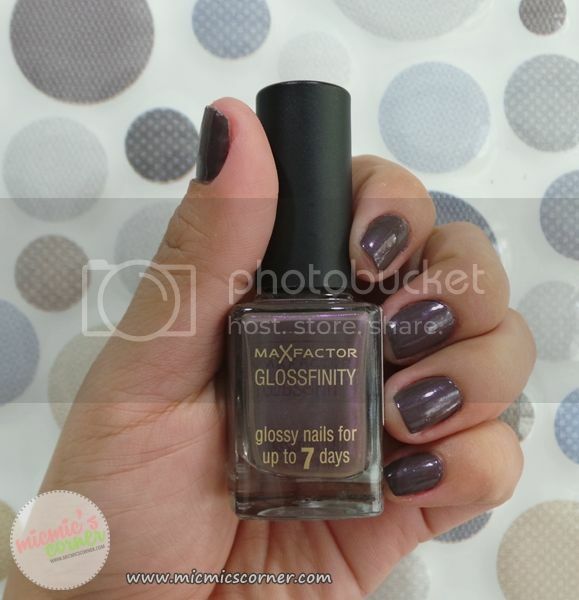 When I passed by Max Factor's stall in SM Masinag, I saw this Glossfinity polish in Noisette and I immediately liked the shade albeit I thought it's going to be metallic or something. Tried it again today and it really is metallic. You have to look closely to see the detail. Here's the link to my NOTD post. Packaging is simple; clear bottle with black handle for the brush. The brush itself isn't that special, too (sorry, I forgot to take a photo of it). It is just right but nothing special. 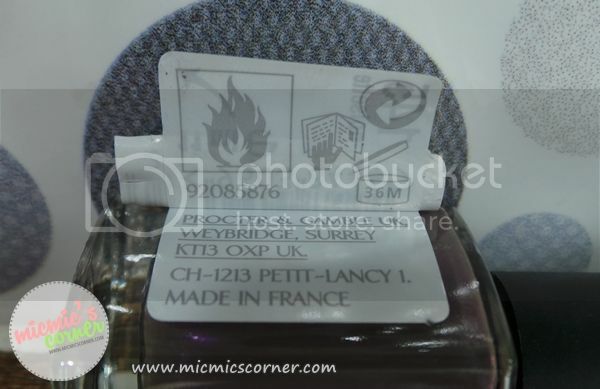 Manufacturing date is provided on the sticker attached. Immaculate, glossy nails that last with Glossfinity Nail Polish. Glossy nails that last up to 7 days. After applying 2 generous coats, here's what my nails look like. I did not apply a top coat after because I want to test how glossy it would look like and how long it will stay. Photo did not give justice to its natural color. It is gray with purple metallic hint to it. After 5 days, here's what my nails look like. I got disgusted already so I removed it even if it didn't reach the 7th day. Glossy, just what it claims, but I hate the chipping part. I guess I need a good base and top coat for this. I won't do the usual likes and dislikes plus rating review since the only thing I really took into consideration is it's glossy finish and longevity. Overall, I love the fact that you don't need a clear topcoat with this. I a just disappointed that it chipped before it reached its 7th day. 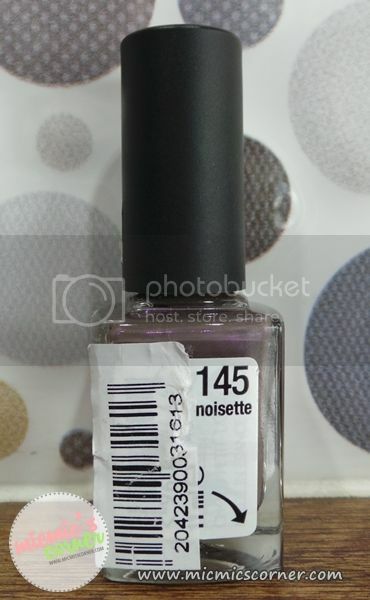 I won't be repurchasing because it is really expensive for a nail polish that looks glossy even after days considering its staying power. I love Revlon's Colorstay nail polishes. For it's price, I think it's super worth it than this one. i like the color but isn't the price too much? nice review though! too pricey for me! LOL I love nail polishes but I really don't stock up on high priced ones. When I want china glaze or opi on my nails, I usually just visit my favorite salon. Saves me shitloads of pesos and a cleaner nails which i find really hard to do . can't go through without admiring the beauty of the colour. I'm not too crazy about the color, but the Max Factor glossfinity line is making a lot of buzz lately. Yup, a bit too pricey, but I guess it goes a long way. 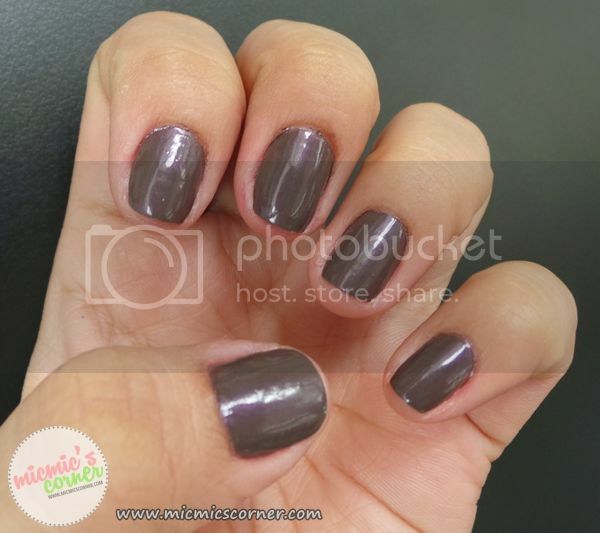 Sakin naman, colorful polishes make my hands appear darker. Cleaning is really a pain. Haha! Did you do some chores kaya nag chip kagad or talagang mabilis lang mag chip off? Mejo mahal for a nail polish hehe..